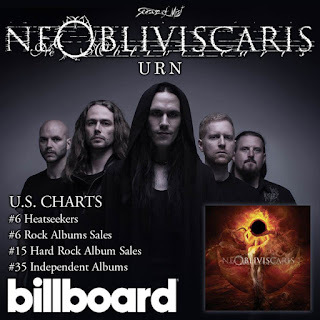 NE OBLIVISCARIS and their new album, 'Urn', have seen several placings across the U.S. Billboard charts following the release of their long anticipated new full-length. The album has placed at #6 on the Heatseekers Chart, #15 in the Hard Rock album sales category, #35 of independent album sales, and #6 in rock album sales. 'Urn' has also landed at the #35 on the Australia ARIA charts, as well as #1 on the AIR independent music charts. Established in 1996, AIR represents record labels and independent artists based in Australia. More information about AIR can be found here. 'Urn' is bound to be a career defining moment for the band. The Australian extreme prog stars have honed and re-balanced the key elements of their unique sound to a razor sharp musical edge. Fierce growls intertwine with emotive vocals, while devastating, intricate guitar riffs and thundering drums play against an unleashed violin and gorgeous string arrangements. 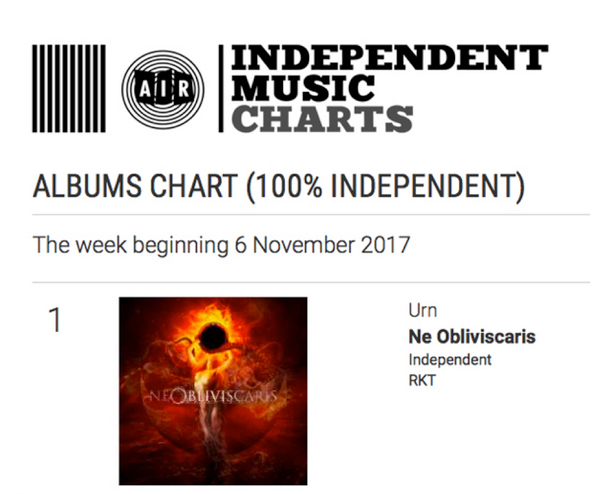 NE OBLIVICARIS innovate the epic, progressive and intense extreme metal forms of expression once again, marking a new peak in the steep rise of the band. 'Urn' is now available across various CD and LP formats at the Season of Mist E-Shop. 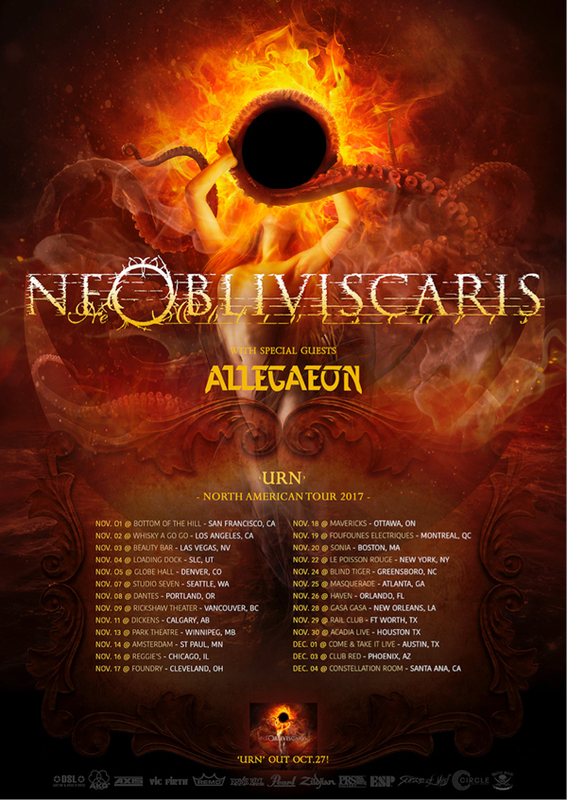 NE OBLIVISCARIS are currently touring across North America. The "Urn North American Tour 2017" sees the band performing tonight in Winnipeg, and continues through major markets for the next five weeks. A full list of confirmed headlining tour dates can be found below. 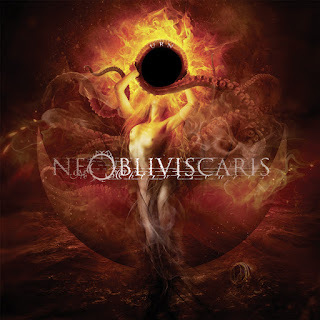 NE OBLIVISCARIS are available for interviews upon request. NE OBLIVISCARIS news and updates will be made available through the Season of Mist website, the NE OBLIVISCARIS Facebook page.